NASCAR wanted to put an emphasis on winning races by adding a Chase to the XFINITY Series. A win for Elliott Sadler at Kentucky Speedway will allow the 41-year-old to breathe a little easier heading into the next few Chase races. The importance of winning ramped up the excitement in Saturday night’s race, and could also be blamed for several intense restarts that resulted in a race full of attrition. 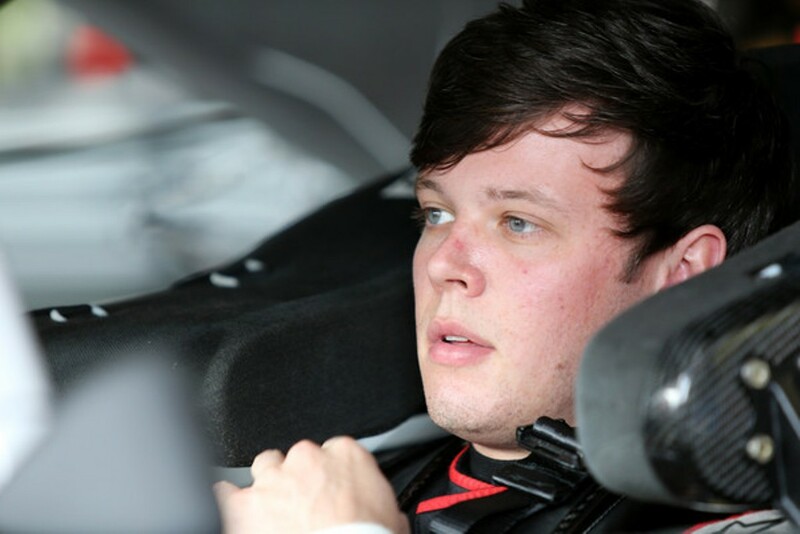 The race was slowed 12 times in the 200-lap event for cautions, and was halted once for a red flag to clean up after a late-race crash by championship contenders Erik Jones and Ty Dillon. Jones led the most laps on the night after being fastest in both practice sessions, and starting on the pole. The 20-year-old out of Michigan led 100 of 200 laps, but was forced to settle for a 28th-place finish after crashing with only 13 laps to go. Jones was battling Dillon for third on a restart, and got loose underneath the No. 3 car, sending both the Nos. 20 and 3 into the outside wall. Both drivers would go to the garage. 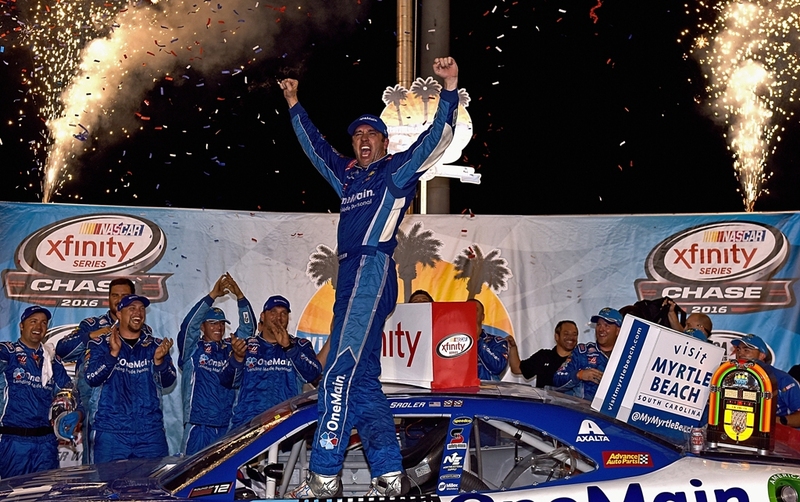 While two Chase drivers retired to the garage, Sadler triumphed, and took his No. 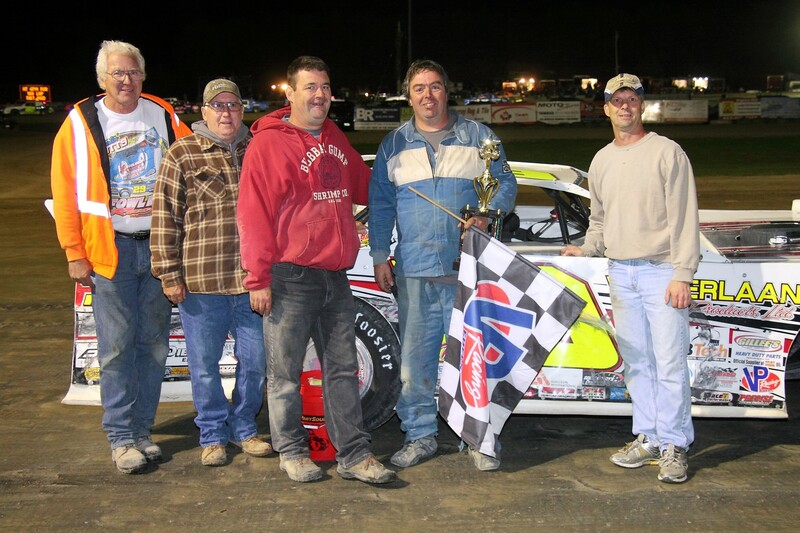 1 One Main Financial Chevrolet to victory lane for the third time this season. Daniel Suarez finished second, despite not leading any laps on the night. 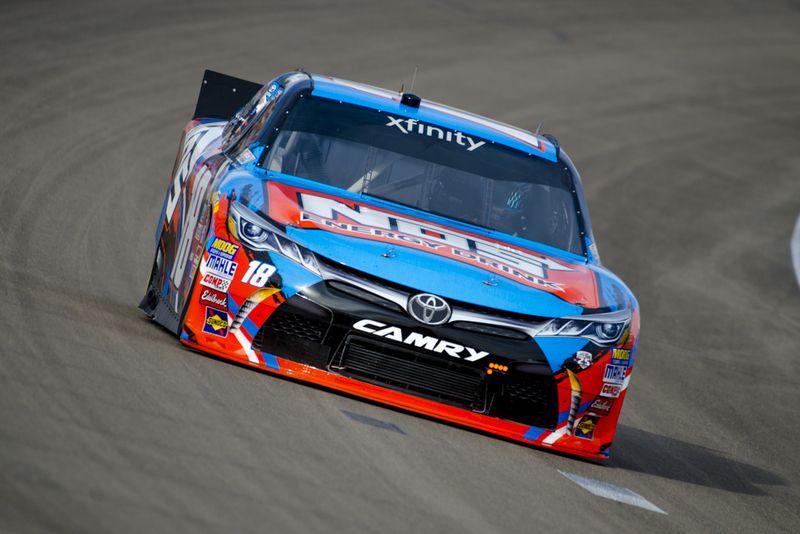 Ryan Blaney, Sam Hornish, Jr., Matt Tifft, Brendan Gaughan, Ryan Reed, Darrell Wallace, Jr., Justin Allgaier and Brennan Poole rounded out the top-10. Blake Koch survived the night with an 11th-place finish that places him eighth in the Chase cutoff points. Ryan Sieg and Brandon Jones each had their own issues throughout the night. 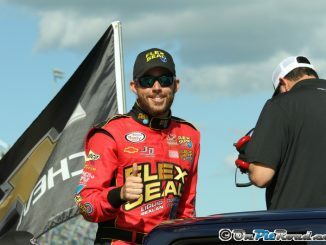 Sieg finished 16th, and Jones wound up 26th after being involved in a wreck with Justin Marks. With Elliott Sadler locked in to the next round of the Chase, the other 11 drivers are left to sweat out for two more races. Sieg, Erik Jones, Brandon Jones and Dillon find themselves outside the cutoff point, and will need to make up points on their competitors, or win, in order to advance in the Chase.